Dalmatia was home to a flourishing Latin civilization before the Slavs arrived in the Balkans, and even before anyone in Europe knew who the Slavs were. 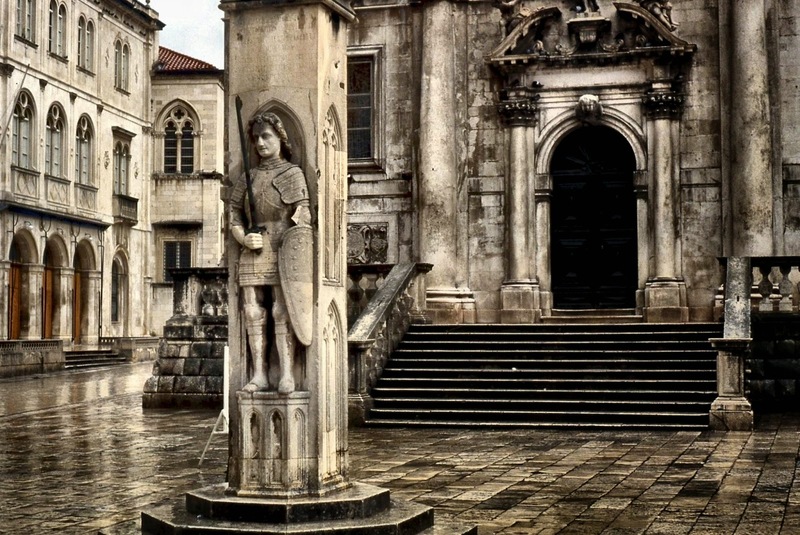 Throughout the centuries Dalmatia remained home to a flourishing Latin civilization. When the Slavs invaded the Balkans in the 6th, 7th and 8th centuries, it was in the region of Dalmatia that the Romans and Latin peoples sought refuge, and founded cities such as Ragusa, after being driven out of the interior by the Slavs. The city of Ragusa represented in the eastern Adriatic what Venice represented in the western Adriatic: the continuation of Roman and Latin civilization. Both cities were founded by Romans who were fleeing barbarians after the collapse of the Empire, both cities were destined to form powerful and influential republics (although Venice, no doubt, was much more powerful and influential), and both cities were compelled to carry on the torch of Roman and Latin civilization against the onslaught of various hordes of Huns, Avars and Slavs. The “Book of Roger”, written at the court of King Roger II of Sicily in 1154 (therefore three centuries before Venetian rule took firm root in the region), informs us that at that time the Dalmatian towns of Arbe, Zara, Traù, Spalato, Ragusa and Cattaro were all populated by Latins – not by Slavs. The Latin and Italian character of Dalmatia was certainly strengthened by the Venetians, but the Latin character of Dalmatia was already an established fact since antiquity, and continued on through the Middle Ages and into the Venetian period, all the way down to the 20th century. How Did Slavs Become the Majority in Dalmatia?